I’ll let you into a secret. I don’t actually remember the 1979 General Election at all. I was born in December 1976 so was not even two and a half years old n May 1979. I’m not sure I even knew an election was going on, let alone one of the four most pivotal General Elections of the 20th century. 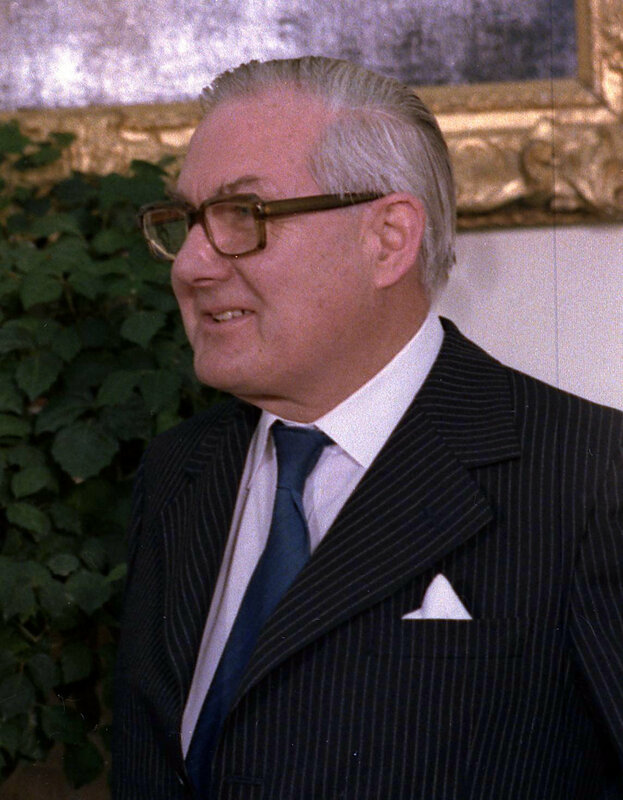 Had you asked me, I doubt I’d have had any clear views on either the merits of monetarism, the impact of the Winter of Discontent or even on who should succeed James Callaghan as leader of the Labour Party. I was basically an idiot. Instead, I wasted my time with such trifles as learning to talk (something I’ve still not entirely mastered), filling time between episodes of Jamie and the Magic Torch and throwing tantrums. I lived in Peterborough with my parents (who were both then about the same age that I am now), an older brother who was just entering his teens and a sister who was nearly ten. I’m not convinced I would have enjoyed the election much anyway. I have grown up to be a Labour supporter and 1979 was to prove a bad year for Labour. Labour had been heading for victory only a few months before with Prime Minister Jim Callaghan always more popular than his opponent, the eventual victor, Margaret Thatcher. This fact suggests to me in itself that Labour’s stint in office was not the unmitigated disaster some have subsequently claimed it was. But the series of crippling strikes dubbed “the Winter of Discontent” wrecked Labour’s chances. The Tories fought a slick campaign. Thatcher held a calf in public at one point. Tory posters depicted long unemployment queues (in fact portrayed by Young Conservatives) proclaimed “Labour isn’t working”. Some might think this a bit of a cheek in retrospect. Unemployment was at 1.3 million and falling in May 1979. 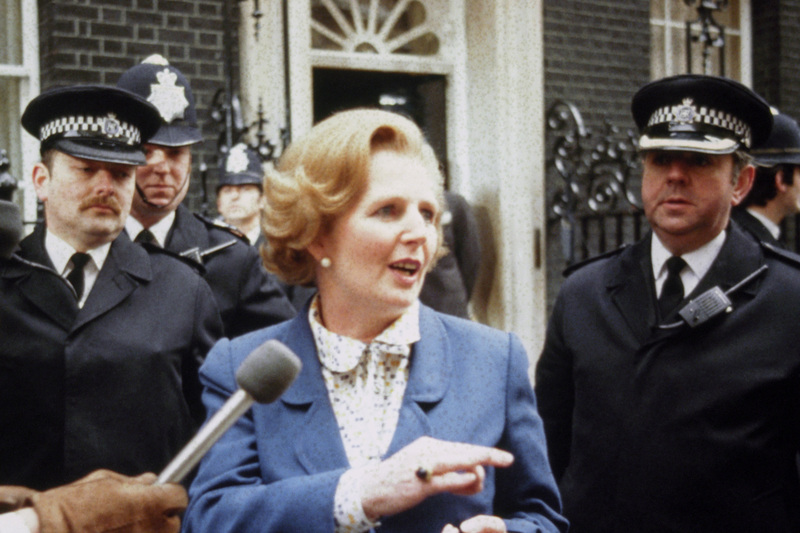 By 1980, under Thatcher, it had hit two million, a new post-war high. By 1982, it was at three million. By 1986, 3.4 million! At any rate, Labour lost. Peterborough’s Labour MP Michael Ward fell to Tory Dr Brian Mawhinney. An unknown named John Major would win his neighbouring seat of Huntington for the Tories. Mawhinney later revealed had been inspired to stand by a divine voice speaking to him on a visit to Peterborough Cathedral. At any rate, although no one knew it then, he and the Tories would hold power until 1997 (when Mawhinney cannily switched seats), then a tremendously futuristic science fiction year by which I, then a toddler, would be old enough to vote myself. Michael Ward died in 2009, but his daughter Alison Seabeck is an MP and Shadow Minister today. Her husband Nick Raynsford is also a Labour MP. The Tories won a majority of 43. Labour got a bigger share of the vote than David Cameron’s Tories did in 2010. 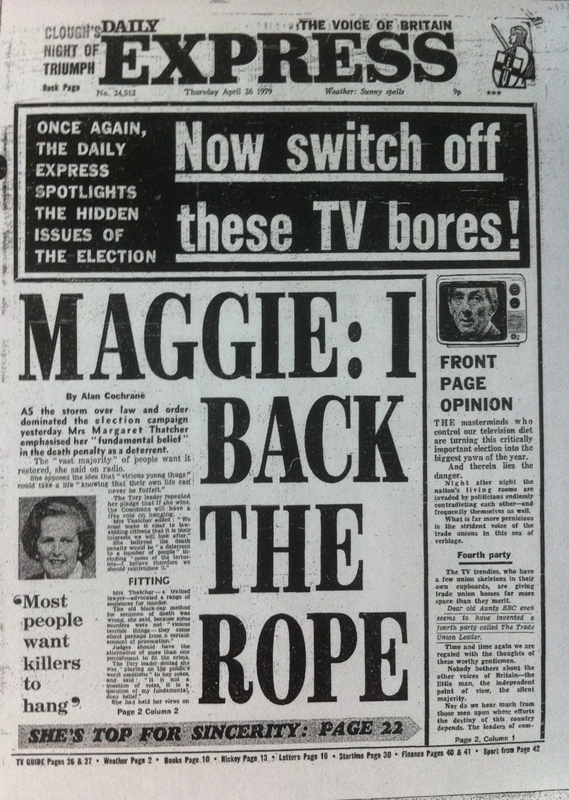 Callaghan lost despite being personally more popular than his opponent, Mrs. Thatcher. But please note: the least popular of the two main party leaders has never won a General Election in the years since. 1979 was unusual. I was blissfully unaware of all this, too afraid of fictional witches as portrayed in storybooks and on TV to worry about real life ones. “Where there is discord, may we bring harmony. Where there is error, may we bring truth. Where there is despair, may we bring hope,” the new Prime Minister said on arriving in Downing Street, claiming to be quoting Francis of Assisi. In fact, St. Francis never said any such thing and we would soon learn that as an introduction to the Thatcher era, these words would prove staggeringly inappropriate.